The first one that we're going to look at is the Media module. So let's go ahead and install that. I'm going to jump back to the browser. I'm going to do a search for 'Media Drupal". I'm going to click on the top most result. I'm going to scroll down. 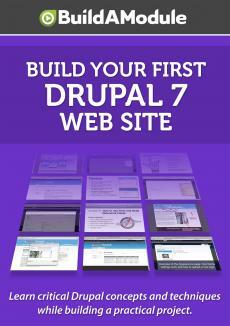 And you see we have the Drupal 7 version, beta 4. Now part of the purpose of the following steps is to demonstrate what happens when things go wrong with a module. So what we're going to do is install an earlier version of this module, called Beta Three. And this version has some predictable issues along with it. To look at all the versions that have been released for module, click on the 'view all releases' link towards the bottom of the page. Here you can choose which version of Drupal to match. We want to match Drupal 7; so I'm going click 7 dot X, and I'm going to click apply. This will filter out any versions that aren't applicable to this version of Drupal. Okay.